The results fall into three categories. 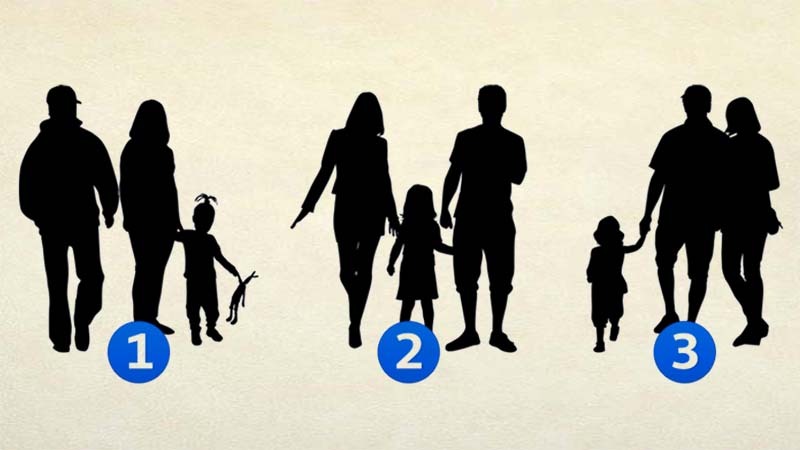 As shown in the picture, there are three families, a mother a father and a child in each one. The question is this: which one out of the three is not a family? Although there is only one answer, whoever you choose will also give you enough clues about your personality. 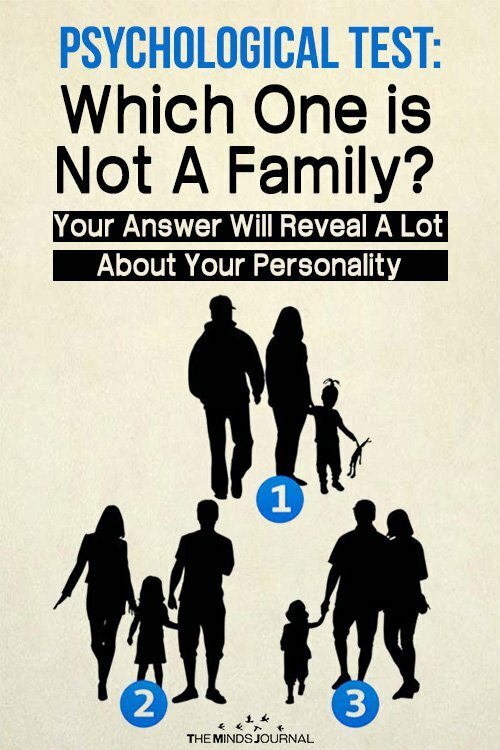 You are not the most family-oriented person, and you might have grown without a strong father figure. As you have noticed, the father looks like he doesn’t care, and the mother keeps him away from the child. You love to help others and try to make positive changes in other people’s lives, but you are not quite sure what a real family is. You are a real family person, aware of the importance of it, and your family is always your priority. The parents in the picture are focused on themselves more, the woman is wearing a mini skirt, and the father is ignoring them. You believe in strong and stable relationships, a loving marriage, and a happy environment for all family members. This picture shows a happy and loving family, two parents who love and care for their child. If you believe this family is fake, you might have a traumatic psychological illness, as a result of the life in a dysfunctional family. If one of your parents has been an alcoholic, has used drugs, or suffered from a mental illness, your mind might recognize such an image for a family, and that is why you recognize this kind of family fake. Description and images do not match the order. Please review.